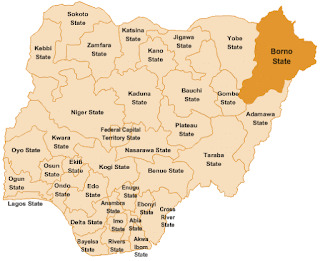 At least 63 persons were reportedly killed Tuesday when a massive explosion from a bag found by members of the Civilian-JTF in Monguno town of Borno state went off as residents gathered to take a look, security sources and witnesses said. Many other onlookers and by-passers were also injured by the blast that occurred at about 5pm. Haruna Bukar, an operative of the Vigilante Group of Nigeria (VGN), who claimed to have witnessed the incident informed journalists on phone that a group of Civilian-JTF member discovered a heavy bag filled with explosives at an old camp of the Boko Haram sect along Monguno-Marte road, and decided to bring it into the city. “It was not an attack by Boko Haram, but explosion from a discovered bag filled with bombs”, he said. “When they found the bag containing what later turned out to be improvised explosives, they brought it to Monguno town where people gathered to take a look at it. As they were busy fiddling with the content of the bag, the bombs went off with a massive blast that killed about 63 persons and injured dozen others”. “It was really a very sad incident that affected many families. Most of those affected are young men and a few number of females”. 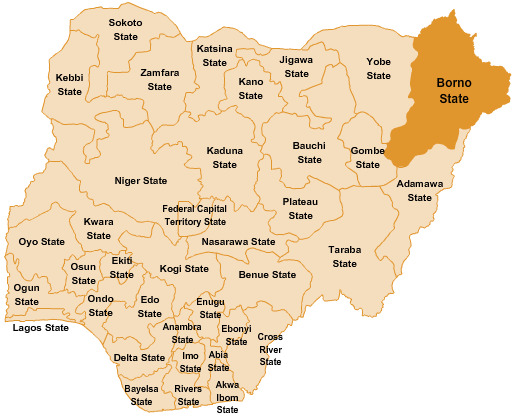 Monguno a town located about 130km away from Maiduguri suffered a massive attack on January 25 when Boko Haram terrorists attacked the military barracks there and sacked most residents from their homes. Many residents were forced into the IDP camps until when the military later liberated the town in February.